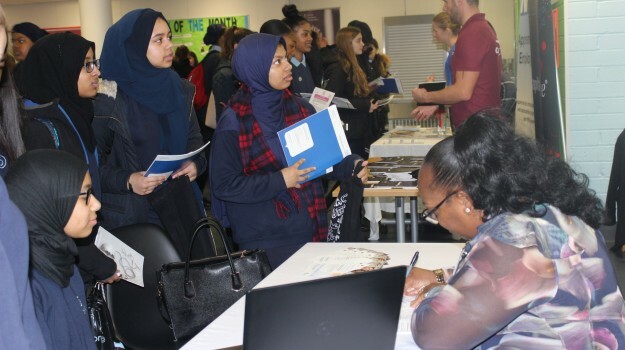 Year 10 and Year 12 students were facing their futures at the Highbury Fields School annual Apprenticeship Fair on the 7th December 2017. 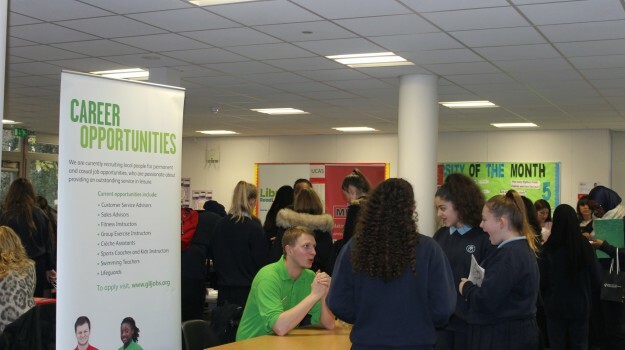 Over 30 professionals exhibited their apprenticeship programme's at the Highbury Fields dedicated Aberdeen Park Sixth Form Centre. 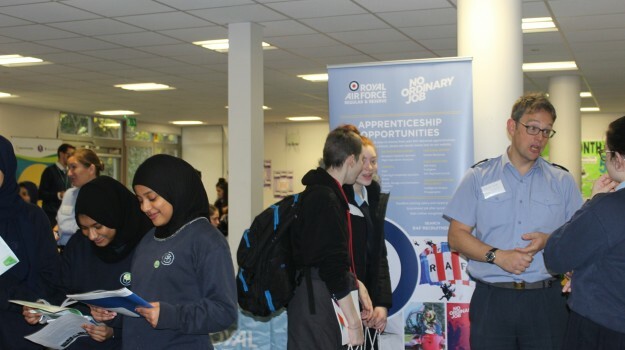 The organisations included the NHS and Royal Air Force as well as representatives from finance, law, engineering, leisure and media industries. 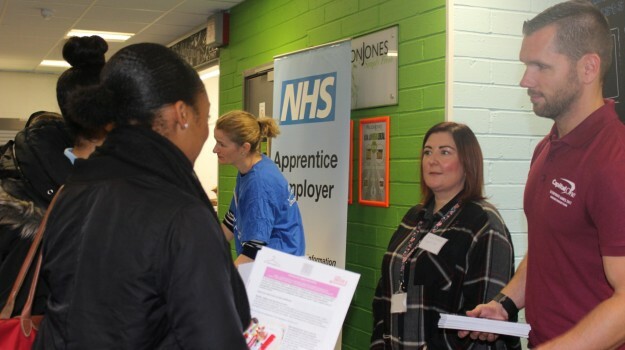 Students were able to engage the professionals in detailed conversations about apprenticeships as a pathway into the careers they aspire to, as well as getting advice on how to develop their own profiles to best achieve their aspirations. 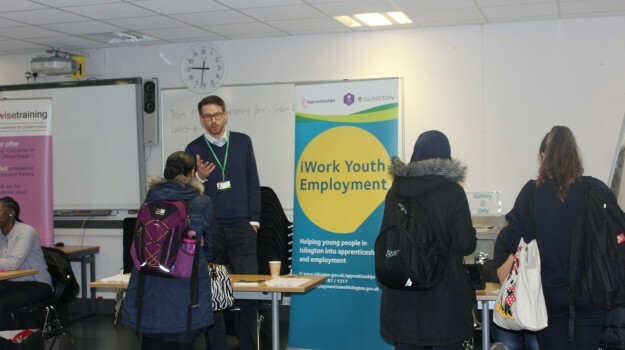 We were especially pleased to welcome Dave Richards, Community Relations Manager for Capital One UK. 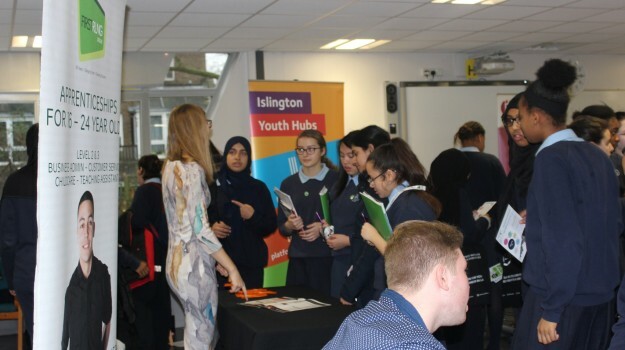 Capital One Bank Holding Company is the school's Business Link in the and is supporting careers education at Highbury Fields School. 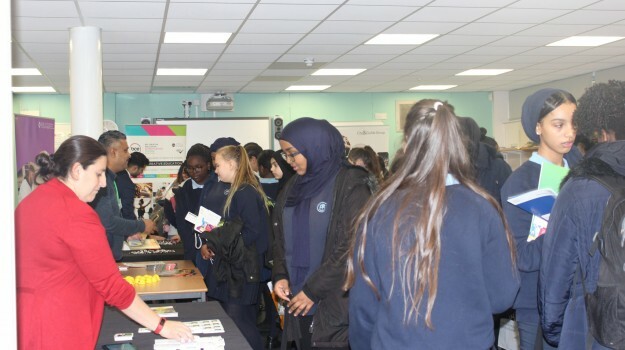 Mr Richards commented on the confident and articulate manner with which our students presented themselves and was impressed with the mature and serious way that students in year 10 were considering their future careers and education choices.